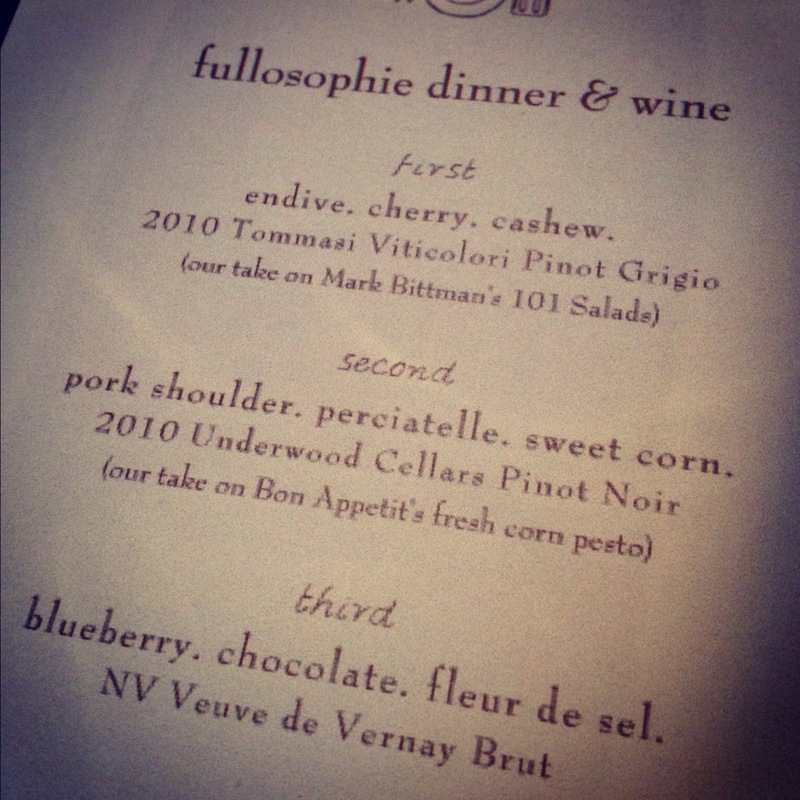 Tonight I had the privilege of attending the Fullosophie kick-off dinner at Veritas and let me just tell you, Dallas, get excited! Not only did they make a very bold and, might I add, wise choice by holding the dinner at my favorite wine bodega in town but the food that was presented was delicious! Self-described as a “farm to fork” dining service, Fullosophie will be launching their first official meal delivery on September 17th here in Dallas. Using inspiration from their favorite chefs and gourmet publications, co-owners Tarin and Jess created Fullosophie after becoming bored at your standard 9-5 corporate jobs. Ballsy? Yes. Do I dig it? Oh HELL yes! 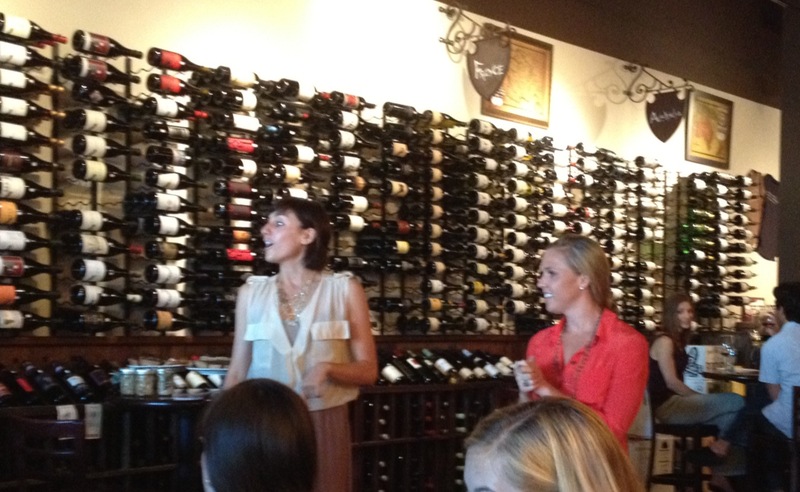 Not only is this dynamic duo adventurous but they are also spunky and the kind of gals you would want to grab a glass of wine with…and eat all of their food, of course. Back to the best part of everything I write: the food. Plopped in a sea of anthropologie-esque table settings, we were served the endive with cashew and cherry salad. So many yummy things were in this salad I can hardly stand it. A light vinaigrette (served in mason jars, of course) topped fresh endive, plump cashews and giant dried cherries. And if that wasn’t good enough, the whole thing is mixed with the Mozarella Company’s succulent goat cheese. I may or may not have had seconds thirds. 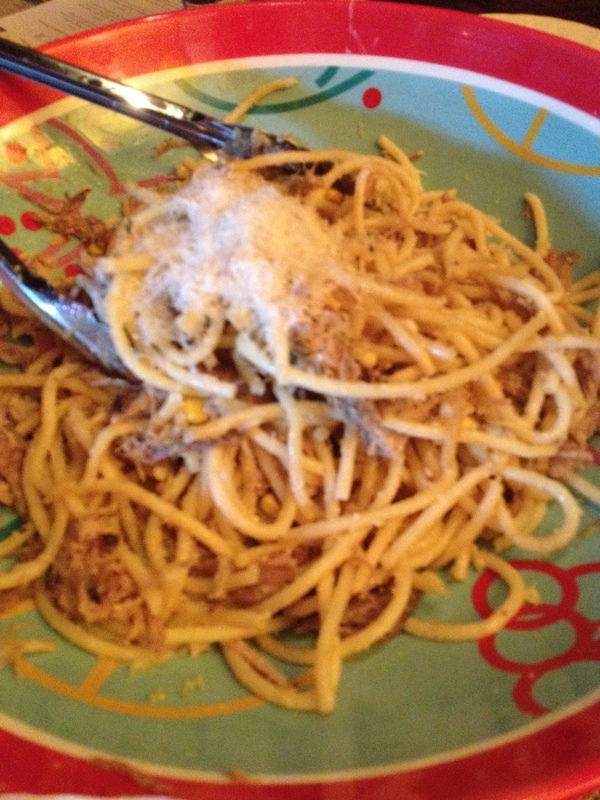 The second course was the perciatelle pasta mixed with sweet corn and pork shoulder. Now, if you are one of my devoted followers you know that I don’t tend to eat anything that once resembled Babe so I was a little sad to see that the meat was already mixed into the pasta. In all fairness, Fullosophie did ask us to state any food allergies or preferences prior to coming and I didn’t so we won’t deduct any points for that. After Jess noticed me picking through the pig face to get to the effin’ delicious noodles, she ran back to the kitchen at Veritas to grab me a plate vegetarian style. The perciatelle was so delicious, cooked al dente and topped with sweet corn and a little bit of parmesan cheese. As Tarin put it “it tastes like it should be bad for you but it’s totally not.” From the ooohhs and mmmmms that were coming from my table, it seems like the pork shoulder was a big hit – take note all you oink eaters out there! For dessert, I had Bob. No really! 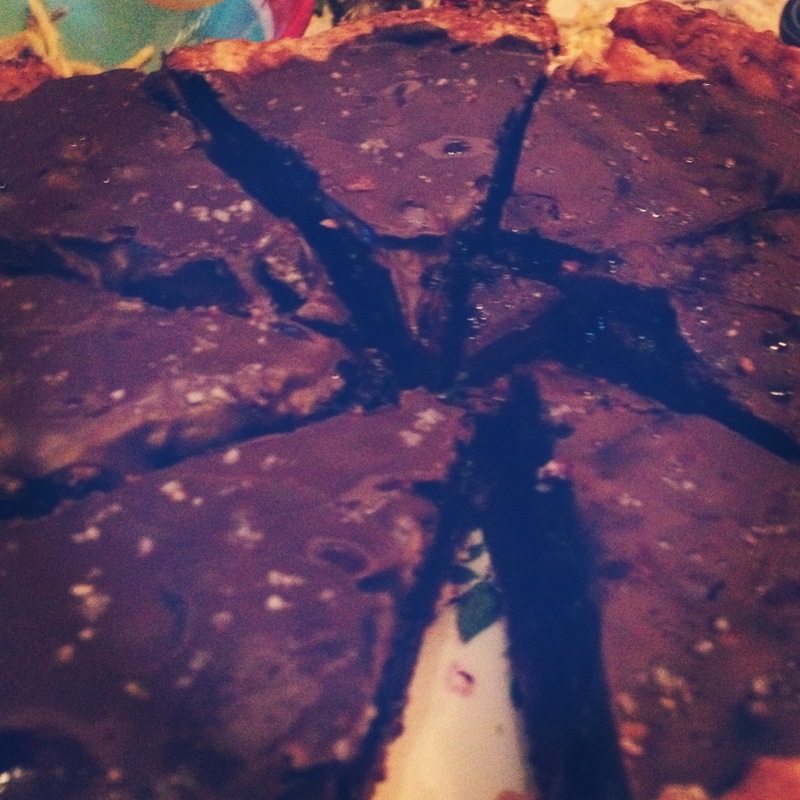 Bob is also known as their blueberry pie topped with chocolate ganache and fleur de sel…drool. Yes, my friends, it is as spectacular as it sounds. Bob and I are now in a relationship on Facebook. Now, if you aren’t already running to place your order online here are a few more things about Fullosophie that may woo you. They will come and cook an entire weeks worth of meals in your own kitchen for you. Any unused food they make is donated to the local food bank..awwww! 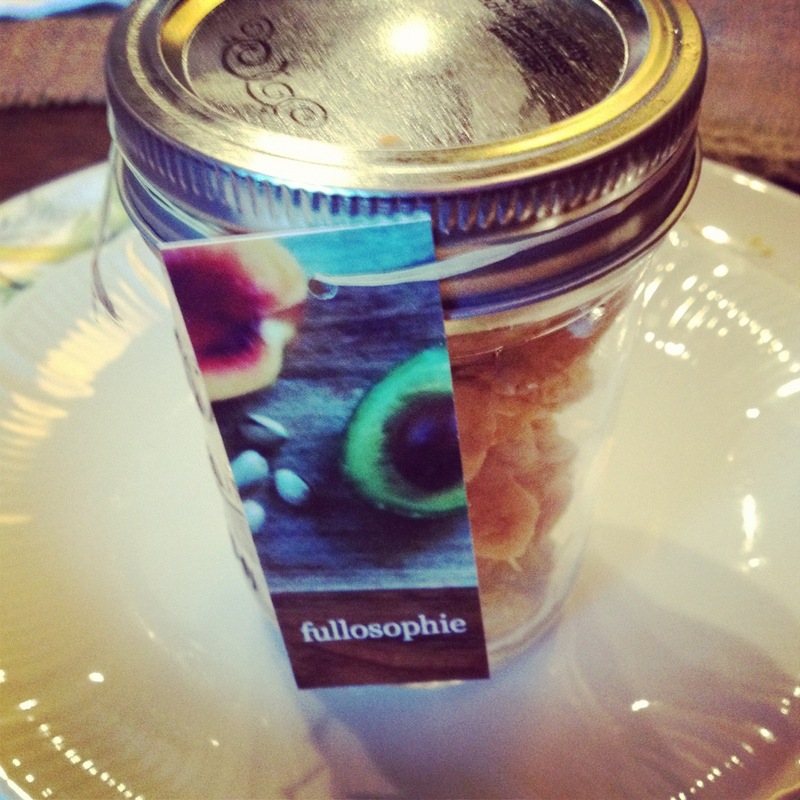 All in all, I think Fullosophie is going to be a great addition to our city. There really is no excuse to go through a drive-thru when Fullosophie is so willing to prepare fresh, delicious and healthy meals right to your door!